Wild parrots are incredibly noisy and can be very aggressive. Their beaks are quite capable of crushing through the small bones of your fingers as well as ripping off chunks of meat and skin. For this reason it might be a better idea to give the bird to an animal shelter than keep it as a pet. The catching of endangered birds such as many parrots in South America is highly illegal and punishable by jail time and heavy fines. Oddly enough, if you want to catch a wild parrot, you don’t need to leave the country. 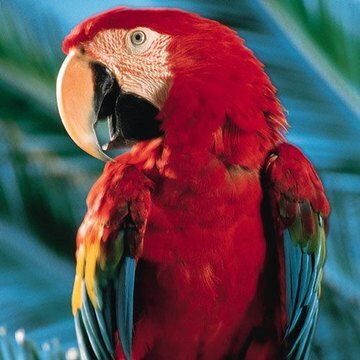 Many legally imported parrots have broken loose and live wild throughout major cities such as New York and Los Angeles. In fact, they’re considered a nuisance because of all the noise they make when in flocks. For that reason, it’s not only legal to catch a wild parrot in the U.S., it’s often considered a public service. Here is a guide on how to catch a wild parrot. Check with local bird watching organizations for information on where to look locally for the parrots’ nests. Look for them specifically in areas with heavy tree cover, such as parks and empty lots. They will build small roosts in family groups of no more than half a dozen parrots in a single tree. Look for leafy trees with berries of some kind such as fig trees or any other tree of tropical origins. Bring all your materials to the roost sometime shortly before dawn or after sunset when the parrots are most likely to be present. Stick peanut butter to the end of the branch or rod and then coat it with seeds and berries. Squash the berries to get their juices and aroma to come out and permeate the branch. Slowly approach the roosting tree and raise the branch, peanut butter first. The parrots should be less active during the night so they aren’t likely to panic or react quickly. They should be all huddled together near a junction of several lower branches at or around the tree’s trunk. Angle the stick to mirror the other natural branches of the tree and press it up near the parrots. You want to make the stick appear as natural and part of the tree as possible. Eventually one of the parrots will be drawn by the smell of the berries and hop onto the branch to peck at the food. Keep the branch level and slowly draw it back and away from the tree. As long as your movements are slow and unhurried the parrot should not panic. Use one hand to drape your pillow case over the bird, specifically its head. Their natural reaction to being unable to see anything is to freeze. Set the stick down and wrap the pillowcase securely around the parrot. Take it to the birdcage and place it, pillowcase and all, inside the cage. Lock the door. With this done you’ve caught the parrot, now it’s up to you to decide what to do with it.